Grated, or finely chopped, cheese is great to have on hand when you're cooking. It melts and blends quickly into pastas and mixes easily with salads. 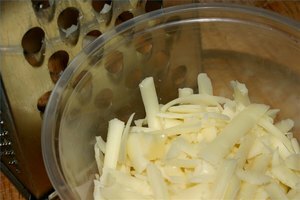 Cheese graters make the job of grating effortless, but you can use a knife and chopping board as an alternative. When it comes to crumbly cheeses like Parmesan, you can also grate by rubbing two pieces together. Here's what you'll want to do. 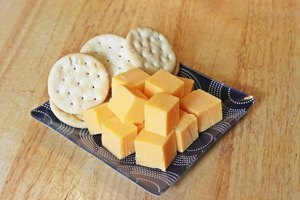 Cut even 1/2-inch strips of cheese lengthwise using a sharp knife and a cutting board. 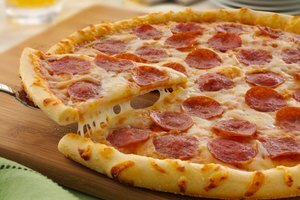 Keep the strips together, but turn the cheese 90 degrees and lay it on its side. Cut these strips into halved 1/2-inch strips in a direction perpendicular to your previous cut. Keep the strips together. Turn the cutting board another 90 degrees. Cut the cheese strips again in a direction perpendicular to the cut you just made. Rotate the cutting board another 90 degrees while holding the cheese strips together. Cut the strips one more time in a perpendicular direction. The strips should now be in rectangular or square pieces. Remove two pieces at a time and place them side by side. Continue chopping them uniformly in one direction, then the other direction until they're finely minced. If you have a crumbly cheese on hand, you're going to want to break or cut off two pieces of cheese from the block. Hold one piece between your thumb and index finger and the other piece between the thumb and index finger of your other hand. The side from each piece of cheese that's farthest away from the palm of your hand should be exposed. Crumbly cheeses like Parmesan or feta have a rocky appearance. 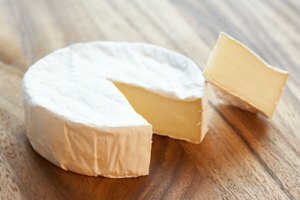 If the cheese has a sandy or grainy texture and it snaps off without bending then the cheese has a crumbly consistency.